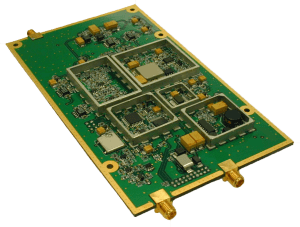 NuWaves’ NuCeptor is a RF front-end designed to mate to the back end of a customer’s existing Digital Signal Processor (DSP) to increase capability. This high dynamic range receiver operates over the VHF/UHF band and down-converts the received signal to an IF for digital sampling. 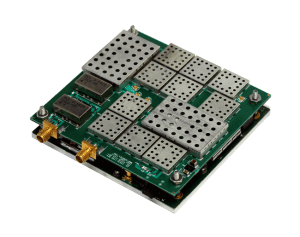 The NuCeptor Receiver boasts low noise figure, 3-stage high performance varactor tuned filtering, multiple IF, high IP3, multi-drop capability, and a miniature form factor. The NuCeptor operates across the military band in a myriad of applications for SATCOM receivers, COMINT, and SIGINT. 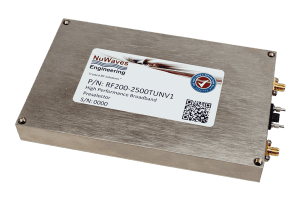 NuWaves’ HiPerTuner is a premier high-performance, broadband RF Tuner/Preselector designed for front-end receiver and transmit applications where stringent RF filtering is required with superb out of band rejection. The module operates over a frequency range of 200 MHz to 2000 MHz and is digitally controllable via a simple RS-232 interface. The HiPerTuner operates across the military band in a myriad of applications for SATCOM receivers, COMINT, and SIGINT. NuWaves’ X-Ceptor is a Broadband RF Downconverter/Tuner with high dynamic range performance covering VHF to S-Band. The X-Ceptor offers unmatched precision – 1 Hz tuning resolution – and superior rejection of out of band interference. The X-Ceptor operates across the military band in a myriad of applications for SATCOM receivers, COMINT, and SIGINT.